This delicious Hawaiian carrot cake with coconut frosting from Sweetpolita is a mouth watering dessert. 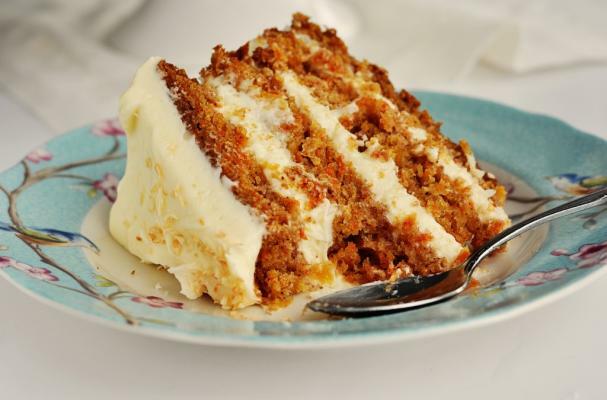 Freshly grated carrot and pineapple are baked into a moist spice cake. Use the best spices available to bake this cake so the diverse flavors really come through. This usually means grinding your own whole spices (in a mortar and pestle or coffee grinder). Frost the carrot cake with homemade coconut icing made with cream cheese, sour cream, and powdered sugar. Hawaiian carrot cake with coconut icing is the perfect dessert for any special occasion. am intrigued about the adddition of sour cream or yogurt in your cream cheese frosting...love to try it soon! The best carrot cake I have ever eaten!! So worth the time to make it!